WordPress is a wonderful content management system to start building your blog. The word WordPress is bit confusion for beginners as there are two sites offering WordPress – one is WordPress.com and other is WordPress.org. 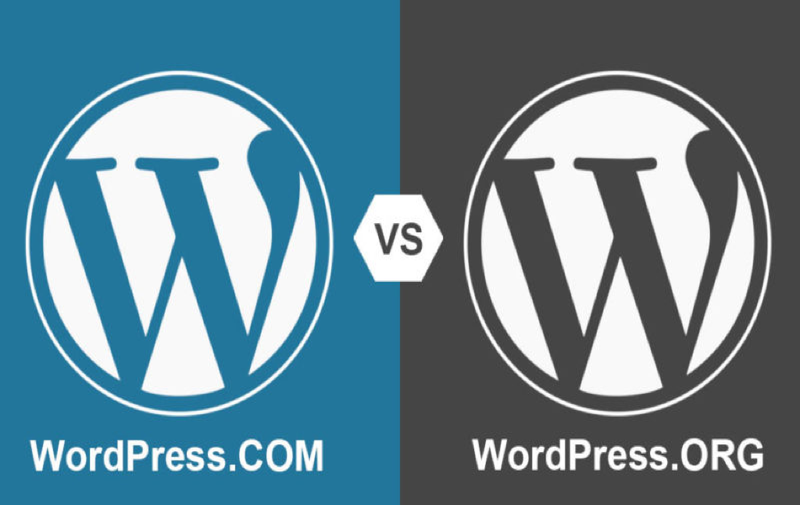 Definitely there exits a very big difference between these two offerings and here we discuss in details about WordPress.com Vs WordPress.org versions. WordPress is an open source content management system developed by a community of interested developers and available for free download from WordPress.org site. In order to run the WordPress software you need a paid hosting server from companies like Bluehost, HostGator, SiteGround, etc. and hence WordPress.org version is referred as self-hosted WordPress version. Over the period of time when WordPress started becoming popular, paid hosting was one of the big problems for users. To overcome this, Matt Mullenweg one of the cofounder of WordPress started a separate hosted version offered through WordPress.com site that is managed by the company called Automattic with dedicated employees. In a summary – self-hosted WordPress.org version is an open source software needs paid hosting platform whereas WordPress.com is a private hosting company offering WordPress as a package for building blogs. WordPress.com is a hosted version of the famous open source blogging platform WordPress allows webmasters to create a free blog or site. WordPress.com was created in 2005 by Automattic Inc. as a separate blogging platform from WordPress.org. WordPress.com offers four pricing plans to cover various target audiences. In addition there is also a VIP plan for large scale enterprise companies. 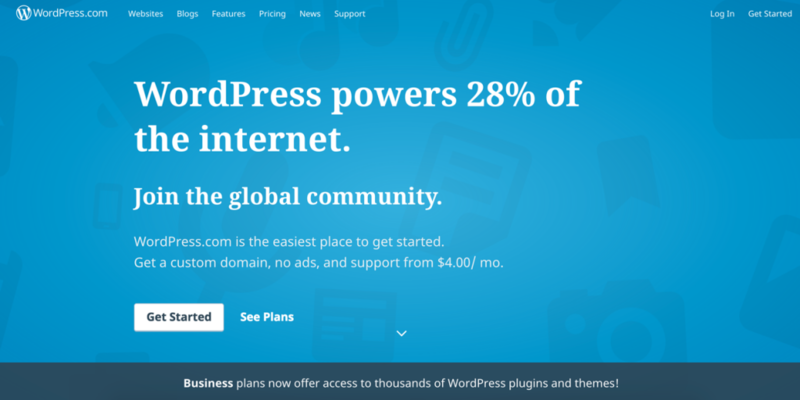 WordPress.com recently offers custom plugin and theme installation feature for business plan users. Previously the plugin installation features was only available for VIP enterprise customers. There are some default plugins part of the package like Akismet and Webmaster Tools integration are available for all users. Accessing WordPress.org plugin repository and uploading custom plugins make users more confusing about the difference between WordPress.org and WordPress.com versions. WordPress.org is a free open source content management system for building powerful websites. WordPress was released in 2003 by Matt Mullenweg and Mike Little as a successor to the “b2 /cafelog” blogging platform. Now WordPress is the most popular blogging platform on the web and powers more than 60 million websites accounting >20% of websites. It is distributed under free GNU Public License version 2 or later. There is a hosted version of WordPress named as wordpress.com with free hosting and limited features compared to wordpress.org version and owned by Automattic Inc.
WordPress runs on PHP scripting language and MySQL database. Following are the requirements to run a basic self-hosted WordPress site. Themes are used to change the appearance of the site without changing the content and plugins are used to extend the core functionality to add additional features. Free themes and plugins are hosted within WordPress.org site and can be installed from site’s admin dashboard. Premium themes and plugins shall be purchased from third parties and uploaded to a WordPress site from admin dashboard or using FTP. 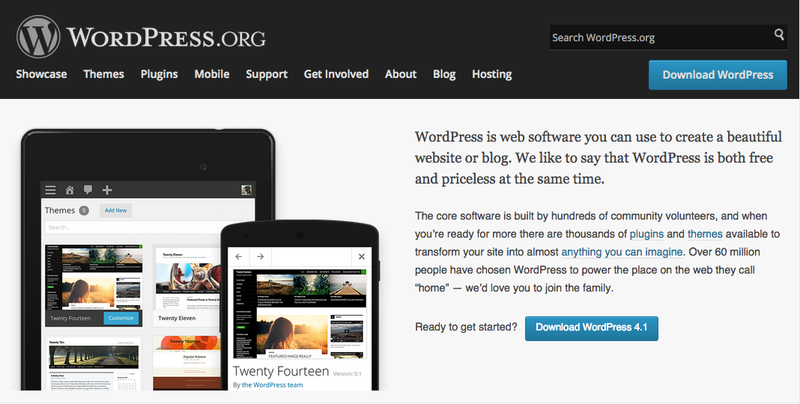 WordPress can be downloaded for free from wordpress.org site and installed on any hosting server. It is famous for the 5 minutes installation process which can be carried out manually or using the services provided by hosting company. For example, Bluehost has an integrated service called “MOJO Marketplace”, similarly SiteGround offers a one-click installation of WordPress using Softaculous on chosen domain. WordPress software is updated continuously to add new features primarily with the most voted ideas reported by users and to address existing bugs. The entire process follows predefined release schedule of April, August and December each year. New version is released as a beta version for testing and then made into a release candidate. Community users test, report and fix the bugs before the version is released for public use and each version is named in honor of Jazz musicians. Extensive support documents are hosted at WordPress Codex freely accessible for all without any registration needed. In addition to documentation various support forums moderated by volunteers are also available to discuss topics like installation issues, troubleshooting and reviews of plugin and themes. Now that you know what is WordPress.org and WordPress.com and who operates these two services. Next is to understand how to use these two versions. It is simple to explain the difference between hosted and self-hosted WordPress version with the process of creating a blog. For WordPress.org – first step is to register a domain and choose a paid hosting service and get the hosting server space. You can also get domain and hosting from the same company based on your preferences. Most of the hosting companies offer one click WordPress installation as part of the account or you can download the latest WordPress version from .org site and install on your domain. You can choose either free theme or go for a premium paid theme for your blog. Here you are the owner of the blog having complete access to server and database. For WordPress.com – register a free account with WordPress.com and start creating a blog with a WordPress.com subdomain. Free version has many restrictions including ad display and you have options of upgrading to premium services offered by WordPress.com. Next is to understand the features offered by these versions of WordPress. Though the basic pack is same called WordPress there are plenty of differences between these two versions in terms of usage. Below are some basic differences in features offered which will help you to decide the version you can choose for your site. Account Registration required to create a blog No registration required to download a software. You can start creating a free blog with WordPress.com without a domain, hosting and any other liabilities. But you are not the owner of your site and you won’t be having access to server files. In order to start a WordPress.org site first you need a domain and hosting but you are the owner of your site having complete access to server files. Below are the different plans offered by WordPress.com and the top business plan needs $300 per year with 50+ premium themes with no option to install plugins. Other free and premium plans are nowhere nearer to be compared to a simple WordPress.org site. Though it is difficult to calculate how much exactly need to be spent for a WordPress.org site, an equivalent site like WordPress.com business plan can be easily build for less than a $100 in our opinion. Moreover, plugins are the major game changer for a WordPress.org site which makes it more cost effective with huge number of free plugins. Though the time spent on .com version is less it has its own limitations of no server access and no plugins. Undoubtedly self-hosted WordPress.org version is much better than the hosted WordPress.com version in all the fronts like features, maintenance and cost. You can build any type of sites whether it is an ecommerce site, static content site, blog or forum. For a site owner it is more important to have a complete ownership of a site so that it is easy to handle migration or backup.